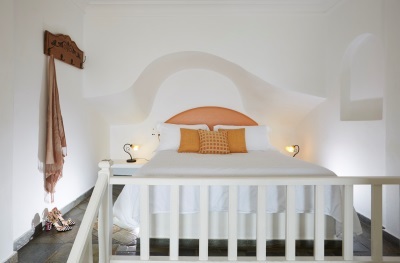 Step into the stylish Junior Suites with Caldera View of Ira Hotel & Spa, decorated with elegant artistic items such as the original paintings on the walls. 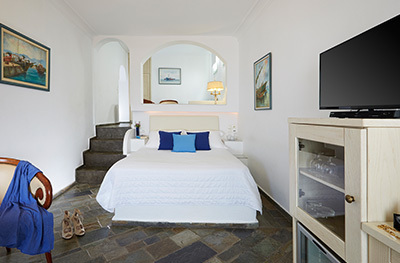 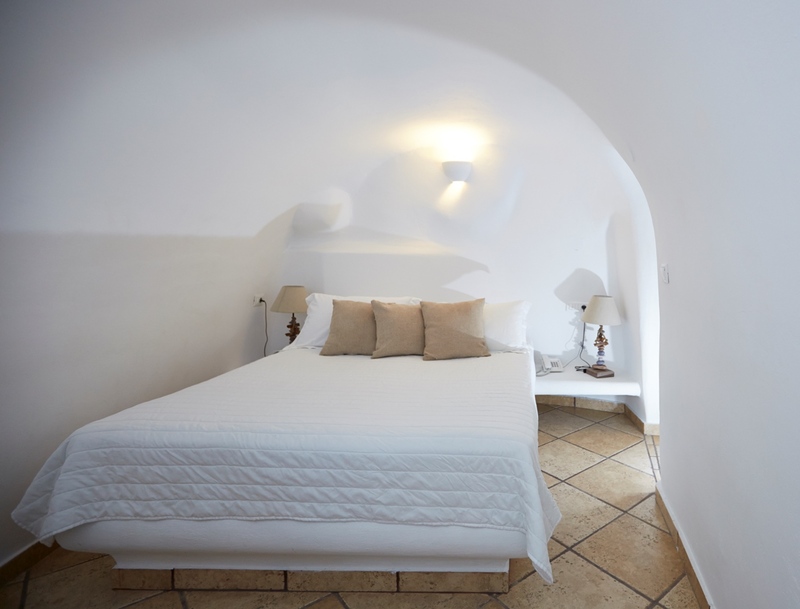 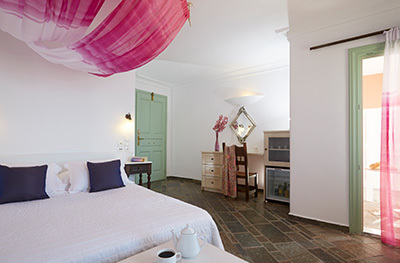 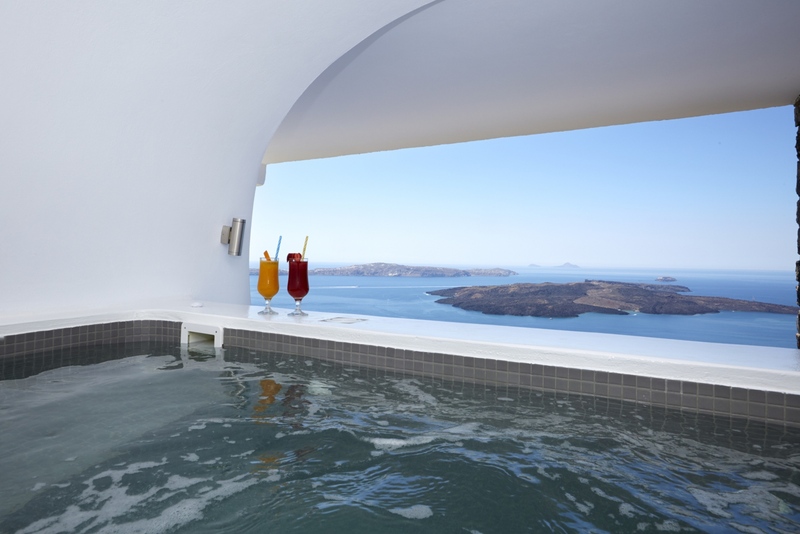 The Junior Suites offer comfortable accommodation in the double bedroom with a sitting area, where you can utterly relax, admiring the magnificent caldera view from your private balcony. 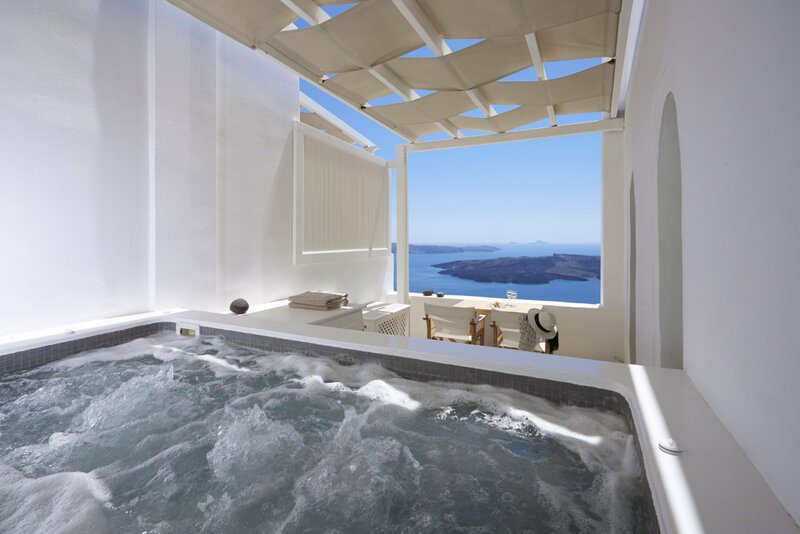 It is built on two levels with internal stairs and a bathroom with hydro massage.